The March meeting for the Cincinnati Section honors our Chemist and Research Associate of the Year. The Chemist of the Year for 2015 is Stacey Lowery Bretz, a Volwiler Distinguished Research Professor of Chemistry at Miami University. The Research Associate of the Year for 2015 is Jennifer Roberts from the National Institute for Occupational Safety and Health. Jennifer L. Roberts is a BS Chemistry graduate of Xavier University working as a chemist for the National Institute for Occupational Safety and Health (NIOSH) in the agency’s Division of Applied Research and Technology (DART). Jennifer is a model research associate for the agency, fulfilling multiple roles. She is an analytical chemist who specializes in GC-MS analysis of organics in the air of workplaces captured on thermal desorption tubes for exposure assessment purposes. In support of NIOSH research studies, Ms. Roberts analyzes field samples for volatile organic compound screening for critical health hazard assessment studies. These studies include exposure assessments at nanomaterial manufacturing sites, chemical processing plants, electronic manufacturing facilities, polyurethane foam application sites, and local hospitals. She also coordinated the work efforts of a summer students to review information on analytical reports supporting NIOSH researchers. As a result of these investigations, Jen has co-authored at least a half-dozen peer-reviewed research papers and has presented her work at national conferences on several occasions. Moreover, Ms. Roberts coordinated a research effort installing and troubleshooting new instrumental chemistry technology within CEMB. She conducted maintenance of laboratory instruments and equipment changing gas cylinders, filling hydrogen generators, arranging for preventative maintenance visits and repair, and organizing calibrations for lab accreditation. Also, Jen has helped develop a new Laboratory Information Management System (LIMS) for NIOSH. Stacey Lowery Bretz is the Volwiler Distinguished Research Professor of Chemistry at Miami University in Oxford, OH. She earned her B.A. in chemistry from Cornell University in 1989 and an M.S. in chemistry from Penn State in 1992. She earned her Ph.D. in chemistry education research (CER) at Cornell University in 1994 and completed a post-doc in CER in the Department of Chemistry at UC Berkeley. Dr. Bretz's research expertise includes the development of assessments to characterize chemistry misconceptions and learning in the chemistry laboratory. Of particular interest is method development with regard to the use of multiple representations (particulate, symbolic, and macroscopic) to generate cognitive dissonance, including protocols for establishing the reliability and validity of these measures. She has published 68 papers, given 131 invited seminars, and been awarded external research funding in excess of $4.5M. Dr. Bretz is both a Fellow of the American Association for the Advancement of Science and a Fellow of the American Chemical Society. She chaired the Gordon Research Conference on CER in 2005. She has served on the Board of Trustees for the American Chemical Society Examinations Institute since being appointed in 2002; she served as Chair of the Board from 2009-2014. She served on the National Academy of Science National Research Council Committee on Discipline-Based Education Research. 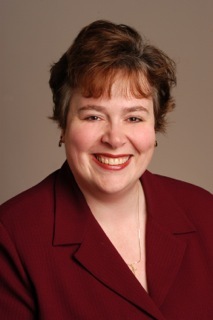 Stacey Lowery Bretz was honored with both of Miami University’s highest awards for teaching: the E. Phillips Knox Award for Undergraduate Teaching in 2009 and the Distinguished Teaching Award for Excellence in Graduate Instruction and Mentoring in 2013. Prof Lowery Bretz will also be the featured speaker for the evening and will present "Measuring Misconceptions: Student Understanding of Multiple Representations in Chemisty". Abstract: Learning chemistry requires students to not only interpret information encoded in symbolic and particulate representations, but also to connect multiple representations of one or more chemical phenomena. Failure to accurately interpret and connect such representations is one source of students’ alternative conceptions. Our research group has designed a suite of measurement tools to advance our understanding of how students interpret representations for a variety of core concepts. Findings regarding alternative conceptions will be presented. Creating such measures has also presented multiple challenges with regard to establishing the reliability and validity (precision and accuracy) of the data. Emerging insights regarding the underlying assumptions and appropriateness of commonly used psychometrics will be discussed as well. Reservations: Please use the link above to register. The deadline for registration is noon, Friday, March 13. Directions: From the Cincinnati area, drive north on US Hwy. 27 into Oxford; Highway 27 becomes Patterson Avenue in Oxford. Turn left (west) from Patterson Ave. onto Spring St. The Miami University Shriver Center is at the first left turn on the south side of Spring St., at the southwest corner of Patterson & Spring. Campus maps are available for more information.